The Liebster award is given to up and coming bloggers who have less than 200 followers. 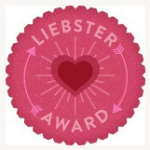 Liebster is a german word meaning dearest, beloved, sweetheart. First, thank the person who nominated you and link back to them. 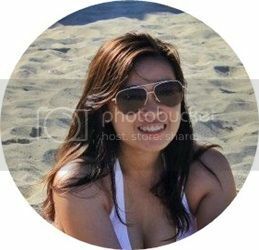 As a liebster awardee (yes, I'd like to call myself that) I have to answer the questions posted by the person who nominated me and create my own set of questions. Then I have to tag 11 other bloggers and inform them. I have no specific favorite. As long as the song is good, I don't care who sang it. But if I want to have a peace of mind, B plays the Beatles. And he just knows me too well because every Beatles song has a calming effect on me. It depends on my mood, there's Stolen by Dashboard Confessionals, Just Breathe by Pearl Jam, Domino- Jessie J. My mood right now says my current favorite song is Real Love by The Beatles. 4. Why did you choose a blog over a YouTube channel? 5. Do you have a goal related to blogging? I just want to be able to share how lovely and good life is. I really hate it when someone fishes for compliments and then when you give them one they would be like innocent and all just so you could compliment them again. Ugh, really gets me all the time. 7. Do you have a pet? If so, what is it? 9. If you were an animal, which one would you be and why? A lion or tiger maybe. Why? I'm a Leo and born on the year of the Tiger. I guess that says a lot huh? 11. What's your lucky number? I'd like to think of 7 as my lucky number. 1. I don't look like any of my two siblings. 2. I do not eat anything with strawberries in it. 6. I do not mind being under the sun. Even if it means my skin getting darker. 7. B inspires me a lot when it comes to life and all. He always has this positive outlook about anything. 8. I sometimes wish I was taller. 9. It was really my parents who wanted me to pursue law school. And now I'm glad I did. 10. I can be cranky and patient about a lot of things (and sometimes people) at the same time. 11. I (we) sleep with a mosquito net wrapped around our feet. What/Who inspires you to blog? What do you usually love to blog about? What' s your dream vacation? What is the best advice you have about relationships? What kind of movies/ book/ song do you like? What piece of clothing is the most practical for you to shop? Hi K! Thank you for the nomination!!!! Thanks for doing the post! I love your answers!